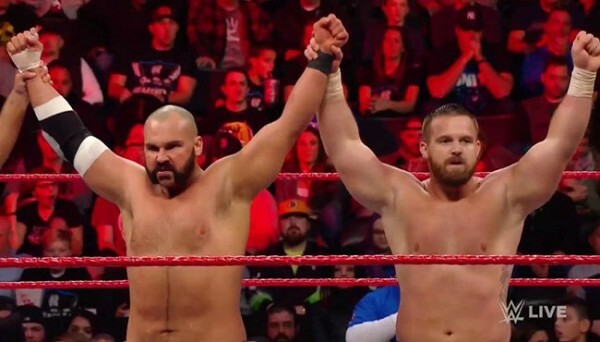 – WWE begun tightening down the rules on interference in tag team matches on last night’s Raw. During last night’s episode, Corey Graves mentioned on commentary that tag team matches will no longer allow partners to run in and make saves on a regular basis, only being allowed one such save before the team gets disqualified. This was the reason that Braun Strowman’s attack on Baron Corbin caused Strowman and Angle to get disqualified in the main event. Of course, all of this will be moot in certain circumstances as is WWE’s way. Match storylines will likely be scripted in such a way to allow the heels to do it behind the referee’s back, or during ref bumps and the like. As Ringside News notes, the changes appear as if they may be part of WWE’s promise to The Revival that they would revamp the tag team division and give it more focus going forward. This was reportedly done to keep them from leaving WWE.